Een van de zeven wereldwonderen, Machu Picchu staat op de Werelderfgoedlijst van UNESCO en behoort tot de meest indrukwekkende bezienswaardigheden van Peru. Op deze tour bereikt u Machu Picchu met gemak vanuit uw Cusco hotel, met toegangsprijzen, lunch en alle reisbiljetten inbegrepen. Bezoek Machu Picchu terwijl je privégids de Inca-geschiedenis van de site tot leven brengt, met vrije tijd om verder te verkennen op je gemak en misschien te genieten in de warmwaterbronnen van Aguas Calientes. We really enjoyed this tour! I need to say, that the organisation of the tour was excellent. We were picked up on time from our hotel in Cusco on a private car. Our driver instructed us for the rest of the day and gave all the details. Then he drove us to the train station. We enjoyed a 1 hour train journey to Aguas Calientes. By the way, the view from the train windows was amazing! At Aguas Calientes we were met by our private guide. We entered Machu Picchu and had a great time there. Our guide was very friendly! We spent half of the day at Machu Picchu. Then we went down to Aguas Calientes for lunch and waited for our train back. At the train station we were again piked up by our personal driver, who drove us to our hotel. This tour is a great option for those who would like to visit Machu Picchu in a relaxing and pleasant way: no rush in a group, private transport. Machu Picchu itself exceeded all our lofty expectations. The private tour made it even better. Seamless logistics with the hotel pickup, ticket delivery, delivering us to the train, and the guide meeting us when we got off the train. The train ride that he sacred valley was stunning as well. One of the best trips we've ever made. Our only regret was not staying longer in Cusco - the historic part of town is beautiful and had lots to explore. great tour. Our guide Reuben was amazing he even took us to hike up to sun gate. The transfers were coordinated well. It's a full day from 5 am to 11 pm when we got back to our hotel. But well worth it. First time in Peru. Without speaking a language, it takes an effort to find an assistance in taking tours. As well, coming from NY, you cannot help high expectations in terms of informational and organizational skills of the business you are dealing with.  In this regard, I would like to mention Kantu Peru Tours. Always on time or early, organized, informative, with a great sense of humor, Eddie started us on our trip to Machu Picchu at 4am.as we were driving for an approximatelyfor for one and a half hours. Hee I must note that, Eddie's driving skills were great: it was smooth and safe if you have driven in Peru, you would know, why I have appreciated Eddi's skills right away. The transfer from the train to the bus went really quickly, we had not noticed. At the entrance of the site, we were greeted by our tour guide, Odylon. His warm personality, humor and, knowledgeable and inspiring stories and, sparlking and proud eyes made our visit to Machu Picchu unforgettable. By the way, his English is just great. 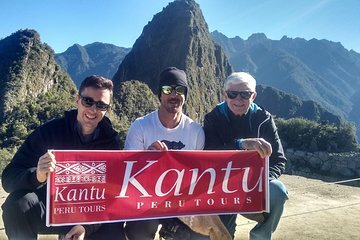 Kantu Peru Tours is a young company, however, they have done the trip for us really well, according to our high-demanding experience. Thank you and good luck in your endeavors!